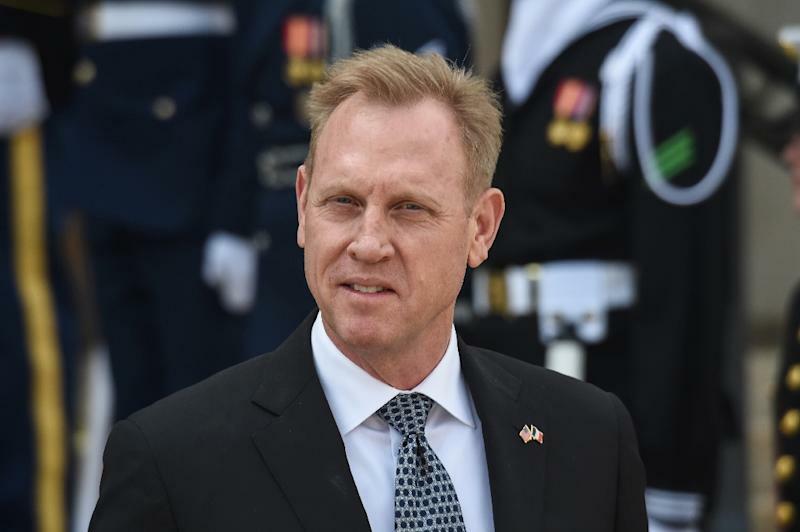 Washington (AFP) - Acting US Defense Secretary Patrick Shanahan is being investigated by the Pentagon's inspector general for alleged bias in acquisitions toward his former employer, Boeing, the inspector general said Wednesday. "We have informed him that we have initiated this investigation," said Dwrena Allen, a spokeswoman for the inspector generals' office. Investigators are seeking to see if Shanahan, as deputy defense secretary, had violated ethics rules by disparaging Boeing rival Lockheed Martin in meetings at the Pentagon. Government watchdog Citizens for Responsibility and Ethics in Washington (CREW) last week submitted a complaint to the inspector general, citing several media reports that alleged the 30-year Boeing veteran cast aspersions on Lockheed's F-35 fighter while pushing Boeing's F-15X. "Mr. Shanahan reportedly praised Boeing in discussions about government contracts, said that Boeing would have done much better than its competitor Lockheed Martin had it been awarded a fighter jet contract, and repeatedly 'dumped on' the jet Lockheed produced," CREW said. "Through his conduct and comments, Acting Secretary Shanahan may have violated (Pentagon) ethics rules," it said. A Pentagon spokesman, Tom Crosson, said in a statement that Shanahan "welcomes" the probe. "Acting Secretary Shanahan has at all times remained committed to upholding his ethics agreement," Crosson said. "This agreement ensures any matters pertaining to Boeing are handled by appropriate officials within the Pentagon to eliminate any perceived or actual conflict-of-interest issues with Boeing." Shanahan was the Pentagon's number two until Defense Secretary Jim Mattis, a former Marine Corps general, quit in December after disagreeing with President Donald Trump's Syria withdrawal decision. Trump has yet to nominate a permanent replacement, and it remains unclear if he wants Shanahan to remain in the job.